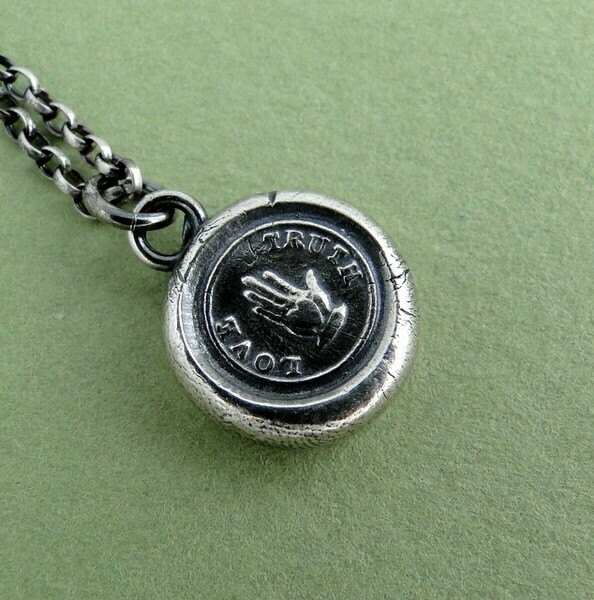 Truth Love, wax seal jewelry, sterling silver, SWALK love, friendship, sincerity Heart hand. This one features a hand with a heart in it's palm. It also has the words Truth Love engraved on it. 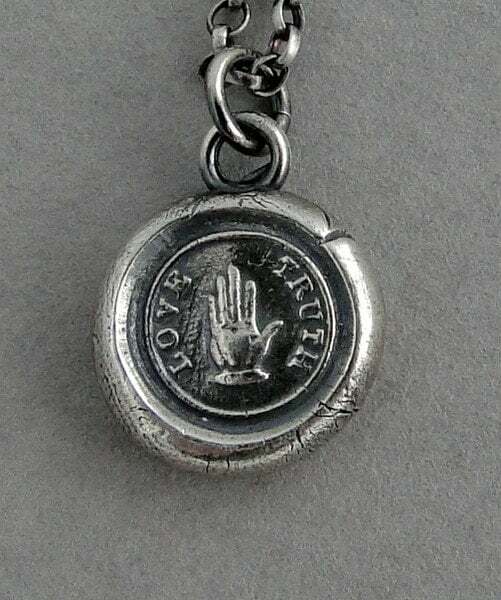 The hand denotes a pledge of faith sincerity and justice and is symbolic of support and strength. 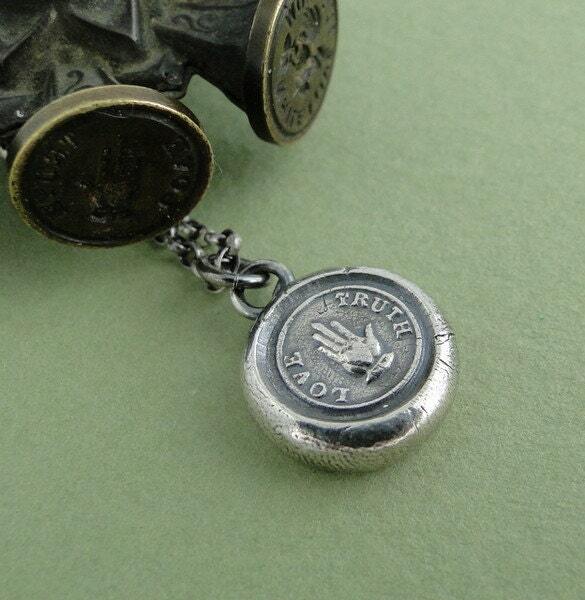 This pendant charm measures 12.8mm and has a nice solid weight for it's size.